To determine the pharmacokinetic properties of atovaquone, proguanil, and the triazine metabolite cycloguanil in women with recrudescent multi-drug resistant falciparum malaria during the second and third trimesters of pregnancy treated by artesunate-atovaquone-proguanil. 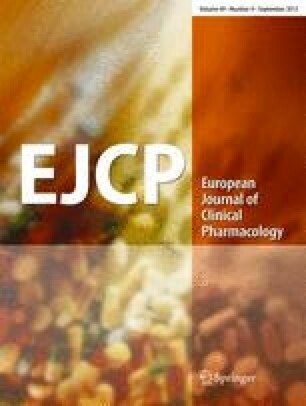 Serial plasma concentrations of atovaquone, proguanil and cycloguanil were measured in 24 women at baseline and after the final dose of the 3-day treatment with atovaquone (20 mg/kg/day) plus proguanil (8 mg/kg/day) plus artesunate (4 mg/kg/day) daily. The triple combination was well tolerated and highly effective. The outcomes of pregnancy were all normal. Population mean (± SEM) oral clearance (Cl/F) estimates were 313±33 ml/h/kg and 1109±43 ml/h/kg, total apparent volume of distribution (Vd/F) 13.0±1.3 l/kg and 22.9±1.4 l/kg, and terminal elimination half-life; 29.1 h and 14.3 h, for atovaquone and proguanil, respectively. Using conventional and population pharmacokinetic analyses, Cl/F and Vd/F estimates for both drugs were approximately twice, and plasma concentrations less than half those reported previously in healthy subjects and patients with acute malaria. Artesunate-atovaquone-proguanil is a promising treatment for multi-drug resistant falciparum malaria during pregnancy, but the dose of atovaquone-proguanil may need to be increased. We thank the staff of the Shoklo Malaria Research Unit antenatal clinics for their help. This investigation was part of the Wellcome Trust Mahidol University Oxford Tropical Medicine Research Programme supported by the Wellcome Trust of Great Britain.